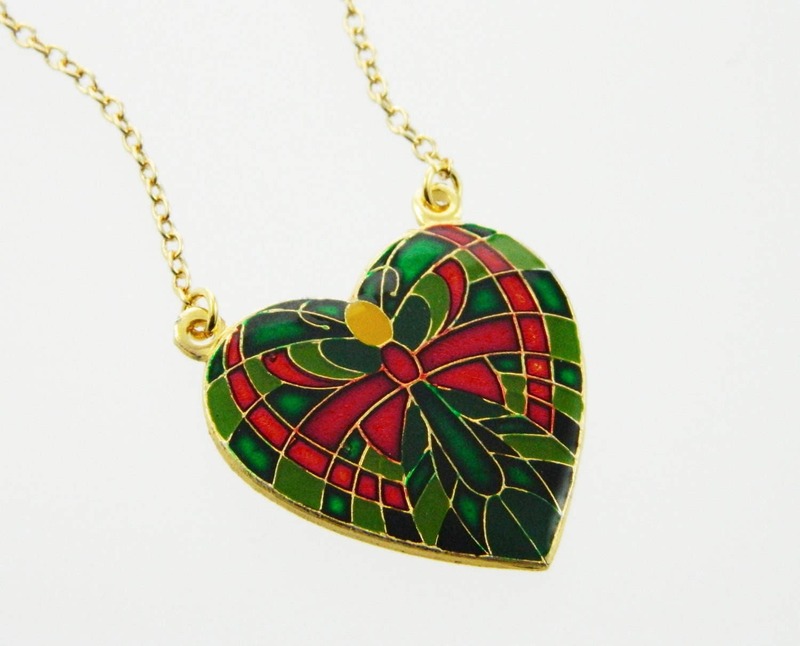 Enamel Butterfly Heart Pendant Necklace. Chain: New Gold Filled Cable Chain. 16” cable chain length with claw closure.